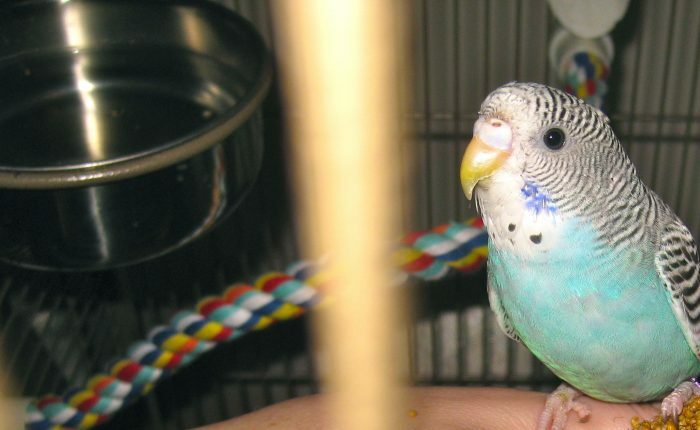 Does molting make a parakeet sick? Molting is a very difficult time for parakeets, most of them do it a couple of times per year; typically it would be a spring/summer and a fall/winter molt. Toby is very lucky and molts approximately every 6 weeks, this is pretty common for indoor living parakeets, with the temperature being fairly even it messes up their natural triggers. During the molting process, which takes a few weeks, the parakeet loses a significant portion of feathers and grows them back. 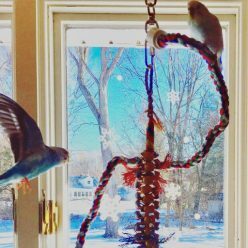 Seeing the piles of lost feathers under the cage every day can be alarming, but it doesn’t seem to be the worst part of the process for the parakeets. At least Toby and Kelly aren’t that bothered by it, even when they are losing more feathers per day than I would have thought they had in the first place! The part that seems to be much harder on our parakeets is growing in the new feathers, and this stage is where, in my experience, the parakeets can seem to be quite ill. Both Toby and Kelly, during the time of popping out a lot of feathers, will have about a 24 hours period where they have many classic symptoms of budgie sickness. This involves listlessness, disinterest in eating, puffing up, napping on both feet, loose poop, general malaise and crankiness. It typically hits them in the early afternoon, they rally right before bed, and then the next day they are pretty “off” as well without seeming as close to death’s door. The first few times this happened to Toby I was absolutely certain she was going to die at any moment. One nice thing is that the parakeets are very solicitous to each other when they are afflicted. Usually they argue passionately every evening about who will sleep highest in the cage (hint, it’s going to be Kelly), but when someone is not feeling so hot they sleep close together without any argument at all. In the daytime too, the parakeet that’s feeling good hangs out near the molting parakeet and tries to regurgitate to her and make sure she’s doing alright. During these times we make some extra effort to use our Zoo Med AvianSun Deluxe Floor Pet Lamp , which we should be using regularly anyhow, and try to tempt them to eat millet at least. It’s best, I think, to just let them stay in the cage on these days and get the rest they need for the hard work of growing out feathers.